Master the elemental powers and Spinjitzu in the NINJAGO game The Four Paths! Dodge sparks and scale icy mountains to sharpen your ninja skills! 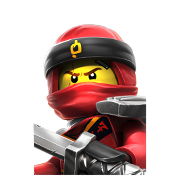 Play as the four ninja from NINJAGO: Masters of Spinjitzu! Cartoon Network is the best place for free online games!